On this episode of Two Guys on Your Head, Dr. Art Markman and Dr. Bob Duke discuss legacy. In this episode of Two Guys on Your Head, Dr. Art Markman and Dr. Bob Duke discuss the Dark Triad. In this episode of Two Guys on Your Head, Dr. Art Markman and Dr. Bob Duke discuss accepting and dismissing information. A psychological study with null results is less likely to be published than one with surprising results, so it's no wonder researchers tailor and conduct experiments with a preferred outcome in mind. So why is it so difficult to replicate a popular study around the time of its initial publication? In this episode of Two Guys on Your Head, Dr. Art Markman and Dr. Bob Duke discuss the replication crisis. As tax day nears, it's not a bad idea to look at our spending habits. Typically when we experience a windfall, we spend more. When we come up short, we spend less. So although objectively we should maintain an average amount of spending, our financial habits continue to be influenced by how much we have at the moment. In this episode of Two Guys on Your Head, Dr. Art Markman and Dr. Bob Duke discuss value in the moment. Dating back to when we were kids, two weeks into the future seems a lot longer than two weeks in the past. Even as adults we know two weeks is the same length regardless of when it takes place and yet we still experience this asymmetrical mindset. In this episode of Two Guys on Your Head, Dr. Art Markman and Dr. Bob Duke discuss asymmetry between the past and future. We've covered what signal detection theory is, so how does it come up when we assign labels to behaviors that could be considered "micro aggressions"? Are there significant benefits to these labels? In the second episode of this two-part conversation on Two Guys on Your Head, Dr. Art Markman and Dr. Bob Duke continue their discussion on signal detection. When thinking about the concept of a "microaggression," what we're really doing is subscribing to signal-detection theory. What is the theory and how does it come into play when we're dissecting the behaviors of others? In the first episode of this two-part conversation on Two Guys on Your Head, Dr. Art Markman and Dr. Bob Duke discuss signal detection. We judge our own actions on our intentions, yet we take other people's behaviors at face value. Is it acceptable to do something virtuous in light of ill intent? In this episode of Two Guys on Your Head, Dr. Art Markman and Dr. Bob Duke discuss actions and intentions. We live in an era with push notifications and all-day news coverage, but is keeping up to date with the latest development really that important? In this episode of Two Guys on Your Head, Dr. Art Markman and Dr. Bob Duke discuss 24 hour news cycle. From seeing a UFO to advancing a conspiracy theory, often the simplest explanation is the most likely one. Yet we still tend to fancy convoluted ideas with lots of moving parts, just because they sound good to us. On this episode of Two Guys on Your Head, Dr. Art Markman and Dr. Bob Duke discuss Occam's Razor. What we refer to as "reverse psychology" is more or less a strategy of deception based on expected defiance, and any short term gratification is often met with long term problems. So why has reverse psychology become such a trope in parenting or dealing with contrarians? In this episode of Two Guys on Your Head, Dr. Art Markman and Dr. Bob Duke discuss "reverse psychology". When we invest a lot into something, be it a relationship, job, or even a used car, it can be tough to cut your losses and start anew. So why are we so prone to sticking with it rather than moving on? In this episode of Two Guys on Your Head, Dr. Art Markman and Dr. Bob Duke discuss sunk cost. In the heat of the moment, revenge can be an appealing idea to consider but often it has devastating results with fleeting satisfaction. Revenge narratives permeate popular media and we dislike when a wrongdoer goes unpunished, so why don't we actually decide to carry out justice ourselves? On this edition of Two Guys on Your Head, Dr. Art Markman and Dr. Bob Duke talk about revenge fantasies. We're used to seeing certain people in one context, but why do we get so thrown off when we see them elsewhere? How do cultural differences in collectivism and individualism shape the way we may perceive people in a variety of settings? On this edition of Two Guys on Your Head, Dr. Art Markman and Dr. Bob Duke discuss acquaintances in the wild. Labels are an essential part of distinguishing between one another but they can also pigeonhole one's sense of identity. How can we adjust our approach to labeling mental illnesses, particularly in children, in a communally constructive way? 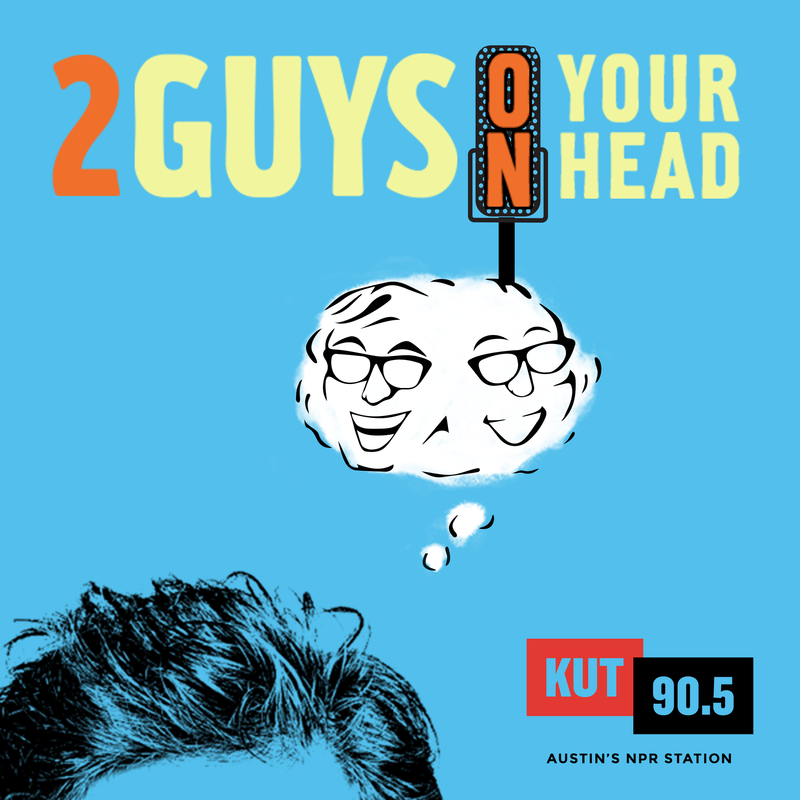 On this edition of Two Guys on Your Head, Dr. Art Markman and Dr. Bob Duke discuss labels. Happy 2019! It’s that time of the year when we resolve to drink less, exercise more, save money, etc. It may feel really good to intend to do “better” in the new year, but as Dr. Art Markman and Dr. Bob Duke explain in this 2015 edition of Two Guys on Your Head, real change takes planning and hard work. The two cheapest and easiest things we can do for our health is sleep more and exercise more, so why don't we do it? Sleep and exercise have an immense impact on physical and mental health both in the moment and for your future self. On this edition of Two Guys on Your Head, Dr. Art Markman and Dr. Bob Duke discuss exercise and sleep. If you've caught yourself wanting to lie in a social situation, you're not alone. Honesty is a huge part of trust in every relationship, but can be difficult to maintain across all sorts of interactions. In this edition of Two Guys on Your Head, Dr. Art Markman and Dr. Bob Duke talk about honesty and happiness. We might feel like we've been duped when we believe a lie someone has told us, and we may want to crawl in a hole when we share "fake news" on Facebook. But in actuality, we have evolved to trust rather than question, which is why our tendency toward credulity is easily taken advantage of. In this edition of Two Guys on Your Head, Dr. Art Markman and Dr. Bob Duke talk about the psychology of what is known as "gaslighting" and how to put checks in place so you are less susceptible to being taken for a ride. You can listen to or download this show by clicking on this link. When and why do we take risks? What goes into the process of remaking yourself at any age or stage of life? What is the role of grief when we talk about reinvention? These are some of the questions we discussed with Dr. Art Markman and Dr. Bob Duke at a recent Views and Brews at The Cactus Cafe. On this episode of Two Guys on Your Head we hear just a little bit from that conversation about reinvention. Can you remember what it was like for you to learn your native language? Probably not, but why is that? As humans, we begin learning to speak during the earliest stages of our lives, in infancy. Most people don’t have many accessible memories from this period of development. How do we do that? If we can learn a language as infants, why is it so difficult to learn a second language later in life? On this week’s episode of Two Guys on Your Head, Art Markman and Bob Duke explore how we learn a language. Anger can create energy, it can be contagious and it can also motivate you to act. But if you want to get people to think and work together to create change, it's not the emotion you're looking for. On this edition of Two Guys on Your Head, Dr. Art Markman and Dr. Bob Duke talk about the psychology of weaponizing anger. On this edition of Two Guys on Your Head, Dr. Art Markman, and Dr. Bob Duke – break down the factors influencing our perception of time.